Shifting from a relaxing vacation back to work is always challenging, but my return this past week from the mountains, streams and lakes of Glacier National Park to a special session of the General Assembly has been a particularly stark contrast. The special session of the General Assembly called by Governor Terry McAuliffe that started on Monday of this week was to deal with court-ordered redistricting, but before we got to the Capitol in Richmond an additional issue arose that makes the special session particularly contentious. A federal court found that Virginia’s congressional redistricting was unconstitutional, and that decision was upheld twice by appeal courts. While the districts were numerically about even, district lines were drawn in such a way as to pack minorities into the 3rd Congressional District ensuring the likelihood of the election of a minority member and at the same time reducing the possibility of electing more than one. Federal courts have thrown out redistricting in other states that had the same effect. The majority party that drew the lines in the first place has been trying to delay responding to the court’s order apparently hoping that a higher court would change the decision that has a September 1 deadline. Changing the lines may give a racial minority a greater opportunity to elect another member of Congress, and at the same time it may give the minority political party the chance to elect another member. The majority party that controls both the House and Senate in Virginia refused requests from the minority party to work together with the Governor to come up with a new plan in a transparent way that would meet the court’s equal protection requirement choosing instead to develop a plan of their own in secret. Adding to the friction of the situation is the majority party leadership announcement that they will reject the appointment by Governor McAuliffe of a Supreme Court justice. Governor McAuliffe made an interim appointment of a justice when a vacancy occurred as he is authorized by the Constitution to do. That appointment is subject to General Assembly confirmation when it meets. Such confirmation is generally routine except in this case the majority leadership says it was not consulted and will not confirm the appointment of a woman who everyone agrees is superbly qualified. The contention of not being consulted is dubious when it was a ranking member of the majority party who chairs the committee that reviews judicial appointments that brought her to the attention of the Governor and who spoke on behalf of her appointment when the Governor announced it. Behavior in the State Capitol in Richmond is getting to be too much like the United States Congress. I have not made reference to specific parties in expressing my concern about what is happening because it is not about Republicans or Democrats; it is about doing the people’s business without pettiness or arrogance. What is going on now is wrong whether done by Democrats or Republicans. The concern is not about party; it is about misbehavior that is not worthy of the public trust. 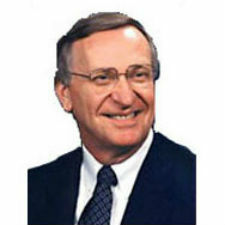 Ken Plum is a member of Virginia House of Delegates.